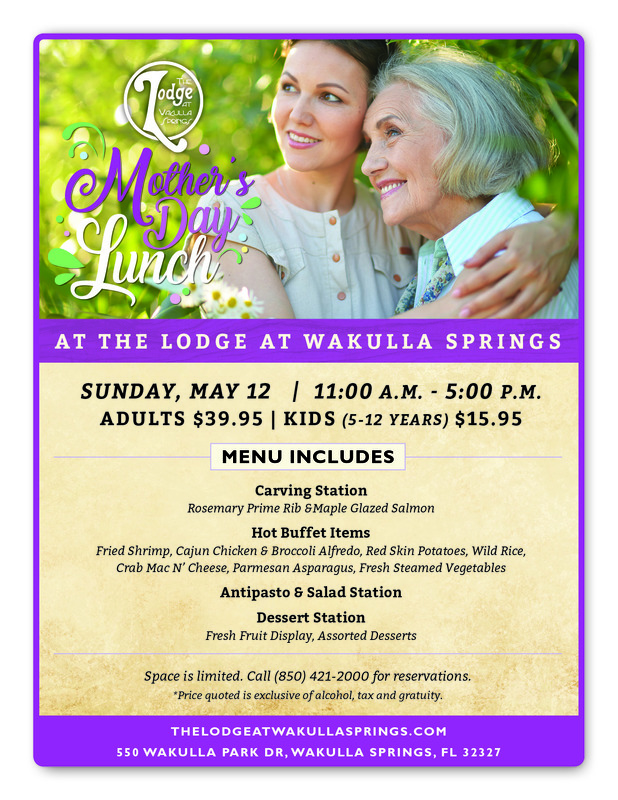 Join us for our Mother’s Day Lunch on May 12th from 11 am – 5 pm for a delicious lunch featuring only the best for your Mom! Enjoy Rosemary Prime Rib, Maple-Glazed Salmon, Fried Shrimp, Cajun Chicken & Broccoli Alfredo, Red Skin Potatoes, Wild Rice, Crab Mac N’ Cheese, Parmesan Asparagus, Freshly-steamed Vegetables, and an Antipasto & Salad station. Don’t forget about the desserts featuring an assorted of yummy desserts as well as a fresh fruit display! Space is limited. Call 850-421-2000 for reservations. We look forward to seeing you and your family there!